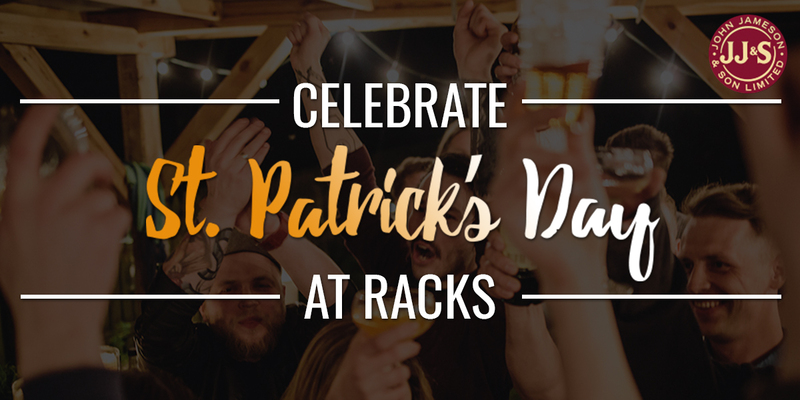 St. Patricks day is just around the corner and if you’ve never joined us here at Racks to celebrate, why not head down to join in the fun. This year St. Patrick’s Day is on a Sunday, so our usual Traditional Irish Ceilidh band will be joining us on the Saturday instead, stick around after the 6 Nations rugby and get in to the spirit. On the Sunday we will have Guinness on offer for just £4 a pint all day! We are extremely happy to announce that Guinness will be just £4 a pint, ALL DAY LONG! In our eyes, there’s no better way to honour the Irish. So whether you’re Irish or not, you can drink Guinness to your heart’s content. We’ve booked a folk band to join us in the evening, at 9pm so expect a great atmosphere! They’ll be playing a wide variety of traditional Irish tunes and listen out for some of those well known Irish songs that we all know and love.